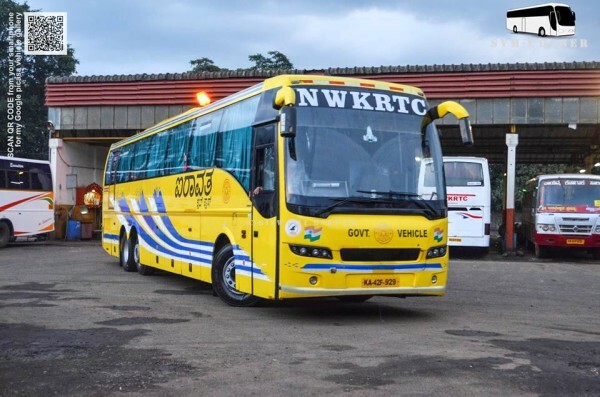 The NWKRTC on the lines of Private operators to give better service has commenced its pick up service from Govaves, Hari Mandir, 2nd gate,1st gate and Nehru Nagar for select AC sleeper buses and Multi Axle volvo services. NWKRTC plans to extend this pick up service to other routes in the time to come. On the return journey as well the bus will give drops at the designated points just as Private operators do. This will be a huge advantage for the passengers as they will be saved of going to the CBT and coming back from there. Belgaum-Bangalore Corona Sleeper, Belgaum-Pune-Borivali Multi Axle Volvo, Belgaum-Nashik Multi Axle volvo buses will have pick points at Basveshwar Circle(Govaves) Harimandir, 2nd gate, Tilakwadi, Congress road. Good move by the NWKRTC to compete the private players.